If you’ve seen Iron Man, Iron Man 2, Incredible Hulk, and Thor you know there is a thread connecting these movies together in the form of a clandestine government organization called S.H.I.E.L.D. 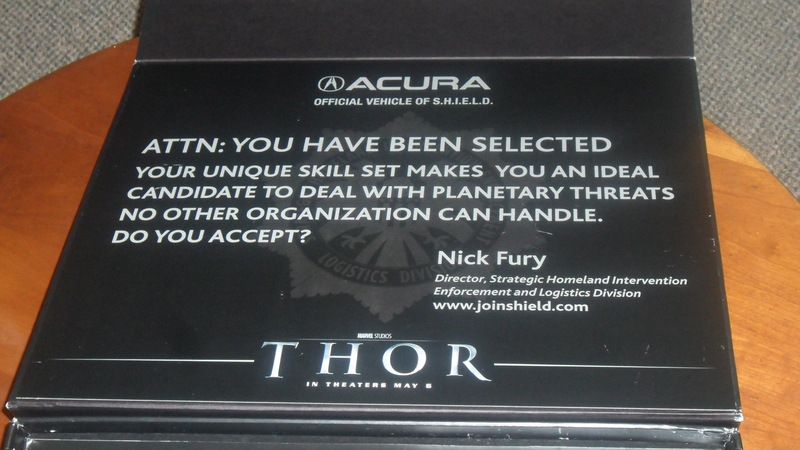 To promote Thor, Acura teamed up with Marvel to produce the “S.H.I.E.L.D. Assessment Kit,” a mock attaché with various tests to see if you’re worthy of becoming an agent. I was lucky enough to receive one of these kits in the mail. So what’s it like? Does it provide any hints about the upcoming Avengers movie? I think so. Click below to find out more. 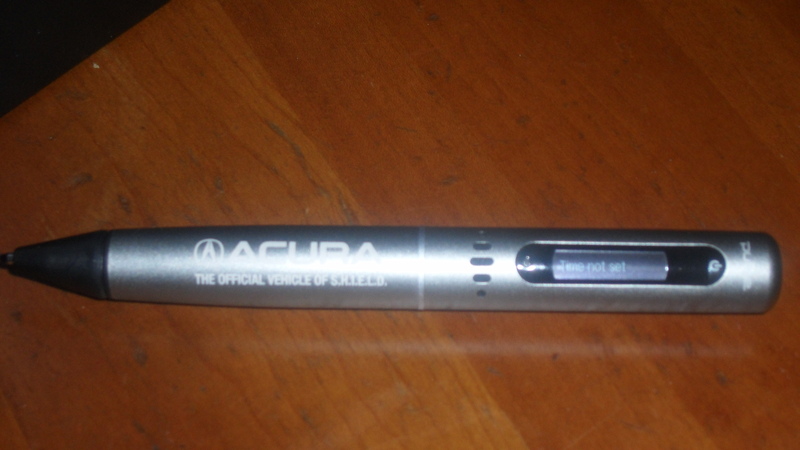 The first thing you get is a live scribe pen with the Thor and Acura logos stamped on it. From there you move on to a series of tests that may (in my opinion) provide hints as to the plot of the upcoming Avengers movie. The first test you get is an inkblot test. 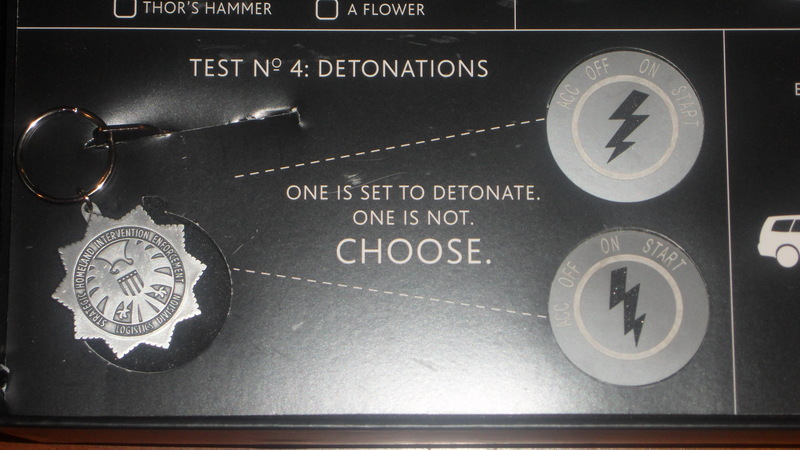 You have four options, a) Alien Invasion, b) Thor’s hammer, c) Explosion, d) flower. What stood out to me was the alien invasion option. Rumors have been spreading that an invasion by the Skrulls will be what brings our heroes together to form the Avengers. Could the kit be dropping a hint? The second test is a Neurotoxin test. 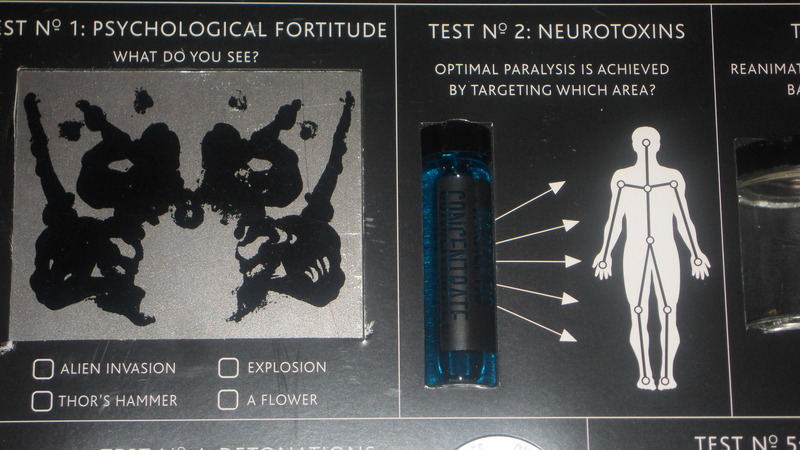 You get a vial of “Paralytic Concentrate” and asks you which parts of the human body are optimal targets for paralysis. 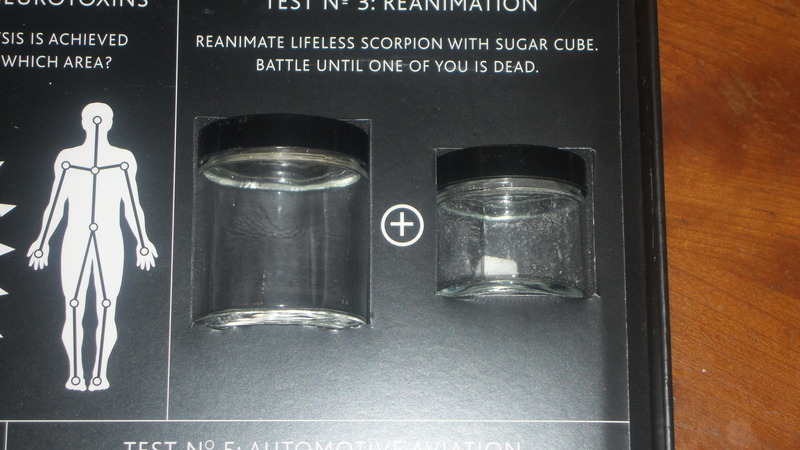 The third test is Reanimation, where you reanimate a lifeless scorpion with a sugar cube and battle until one of you is dead. 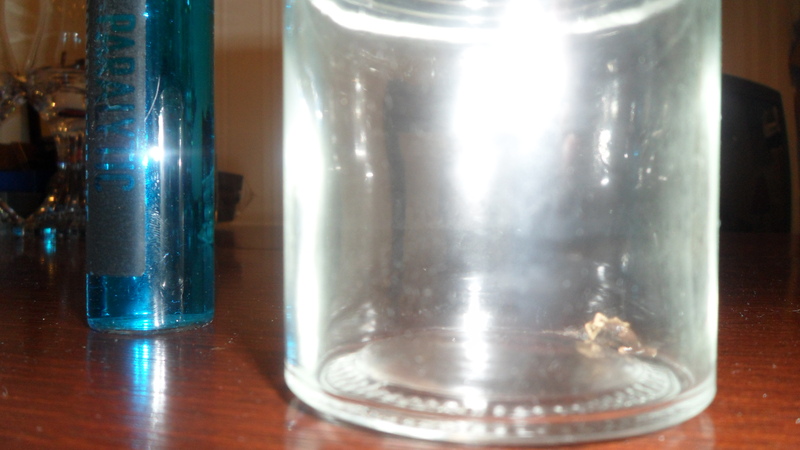 Of course you get a scorpion in a jar, which makes me think that Nick Fury’s brother Scorpio might be making an appearance. 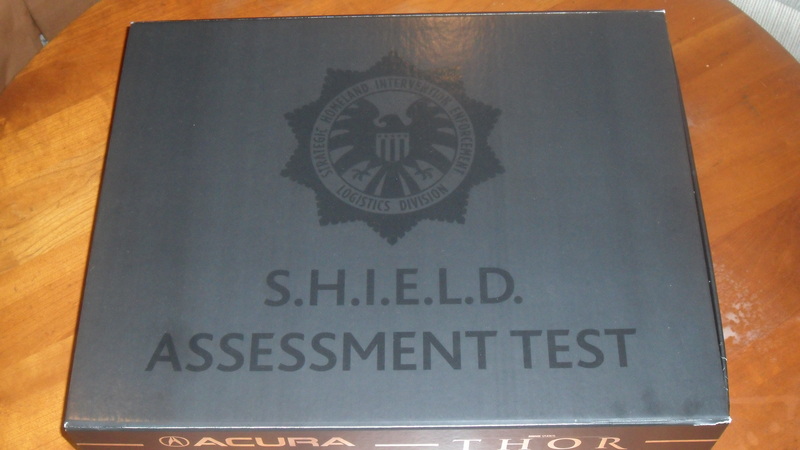 For the fourth test you get a S.H.I.E.L.D. key chain and key and are to choose between two ignitions, one of which is set to detonate. Finally, there is the fifth test involving Automotive Aviation. The scenario is your car has to get over a school and through an explosion to rescue a couple of kids. 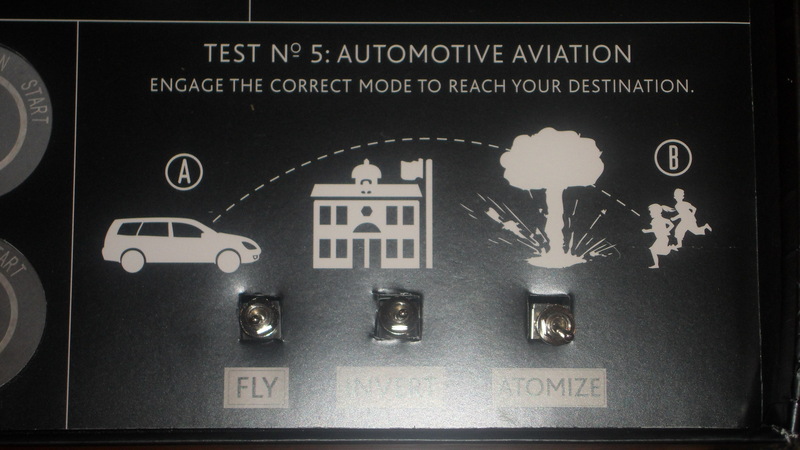 You are given the choice of three switches that say fly, invert, and atomize. Choose wisely. 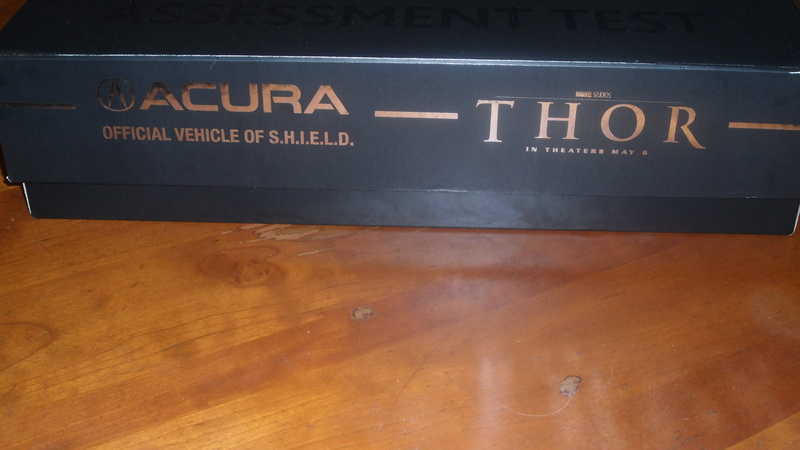 One thing is crystal clear from this test Acura will be providing the flying cars S.H.I.E.L.D. loves to deploy. Overall, the kit is pretty cool and would definitely be a fun activity kit for the kids. As far as my predictions are concerned, we’re just going to have to wait for Avengers to find out. In the meantime check out these pictures of the S.H.I.E.L.D. kit.